The birth control pill has been granting women the undeniable benefit of preventing unwanted pregnancy since it was first approved by the FDA in 1960, but recent research has found that the birth control pill also has the remarkable ability to prevent cancer. This little pill has been giving women sexual freedom for over 50 years, and now scientists are realising the amazing capabilities of the birth control pill in preventing endometrial cancer. The Lancet Oncology has completed a study that found women taking the birth control pill have only 69% of the risk of developing endometrial cancer as woman who were not taking the pill. 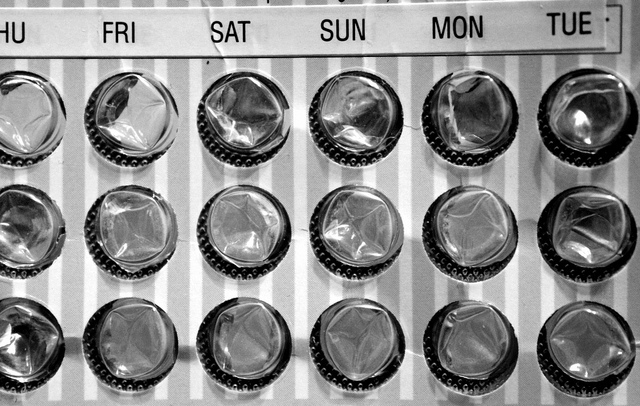 ‘The team (for Lancet Oncology) collected data from 36 epidemiological studies from Europe, North America, Australia, Asia and South Africa that looked at the effects of the birth control pill. The team’s dataset included 27,276 women with endometrial cancer and 115,743 women without the disease,’ said Medical News Today. ‘The strong protective effect of oral contraceptives against endometrial cancer—which persists for decades after stopping the pill—means that women who use it when they are in their 20s or even younger continue to benefit into their 50s and older, when cancer becomes more common,’ University of Oxfords’s Valerie Beral told Medical News Today. According to Cancer Australia, endometrial cancer begins in the lining of the uterus. Shockingly, it is estimated that women have a 1 in 37 chance of developing endometrial cancer. ‘Endometrial cancer is the most common gynecological cancer, accounting for 6% of all cancers in women. The National Cancer Institute (USA) estimates that in the U.S., 54,870 women will be diagnosed with endometrial cancer in 2015, and 10,170 will die,’ writes Steven Salzberg of Forbes Magazine. Fortunately, The Lancet Oncology has found that the birth control pill has effectively prevented 400,000 cases of endometrial cancer over the last 50 years, with 200,000 of those cases prevented in the last 10 years. The study also discovered that the longer a woman takes the contraceptive pill, the more her risk of developing cancer declines. These benefits continue for years, even after she stops taking the pill. The Lancet Oncology has uncovered that for every 10 years of taking the contraceptive pill, a woman’s risk of developing endometrial cancer lessens by 50% in developed countries. The findings by The Lancet Oncology present a groundbreaking reason for governments to improve access to the contraceptive pill worldwide, which will hopefully outweigh the objections to the pill and improve women’s health and wellbeing substantially. This entry was posted in News and tagged birth control pill, health, News. Bookmark the permalink.